This page is a work in progress. Check back often. Click one of the genes below to jump to information on that gene or start from the beginning to learn about basic genetics first. Click on the photos to see the full size image. When you are finished click the "BACK" button to return to this page. Champagne 'CH' and 'ch' (simple dominant): Champagne is a dilution gene that affects both eumelanin and pheomelanin. Champagne foals are always born with blue eyes and pink skin. Generally champagne foals start out several shades darker than their adult color will be. 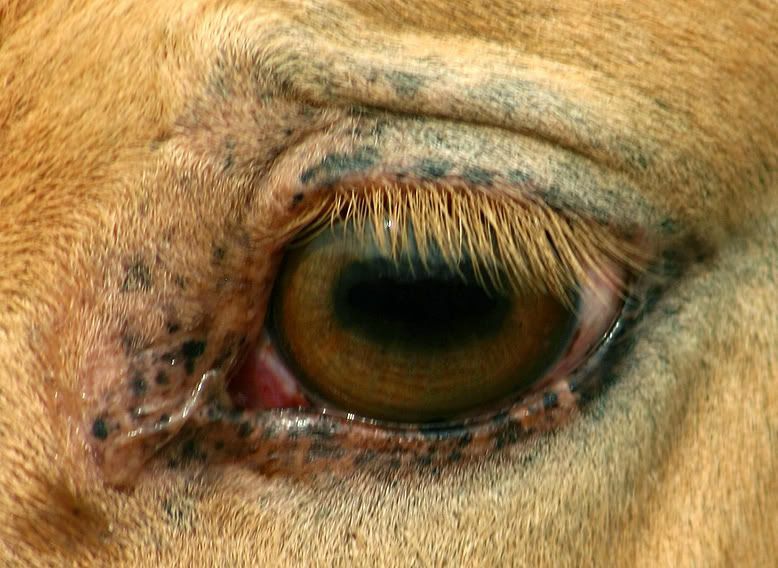 Over time the blue eyes change to an amber color and the skin becomes mottled with small, dark freckles. Some champagne's mottling can become so extensive as to give the skin an overall gray/pink appearance, however a peek under the tail or near the udder or sheath should reveal very obvious pink skin with few freckles. Amber eyes and pink skin are must for a horse to be considered champagne. Some non-champagnes can also show these characteristics; though generally to a lesser extent (palominos are notorious for it). Champagne on a red based horse can vary from a very dark red/gold with a body colored mane and tail to a very light tan/gold with a white mane and tail and they are considered "gold champagne". They tend to look very similar to palominos but the mottled skin and amber eyes can generally clue you in to the genotype. Bay horses carrying the champagne typically looks very much like buckskins with slightly lighter and more brownish toned legs (of course the characteristics can help you here too) and are considered "amber champagne". Champagnes with a black base and considered "classic champagne" and are generally a reasonably dark and charcoal like color. Sometimes classic champagne can be confused with grullo (black dun) but the champagne will not show dun characteristics such as the dorsal stripe and leg barring, etc. When a horse carries a champagne and a cream gene together, "cream" is added to the name, ie "gold cream champagne". Cream 'CR' and 'cr' (incomplete dominant): Cream is the wonderful dilution gene that gives us so many oh-so-desirable phenotypes. This gene only fully effects pheomelanin and thus has little to no effect on black pigment. 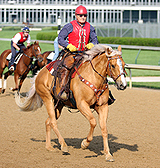 Cream's effect on a horse's color is dependant on the horse's zygosity for the gene. While one copy of cream ('CRcr') is considered a single cream dilute and is a partial dilution of the horse's original color, two copies of cream ('CRCR') is known as a double dilute and dilutes the horse's coat almost completely (they generally look very close to white). One copy of cream on a red based horse is what we know as a palomino. They generally are some shade of gold with a white (or light) mane and tail. 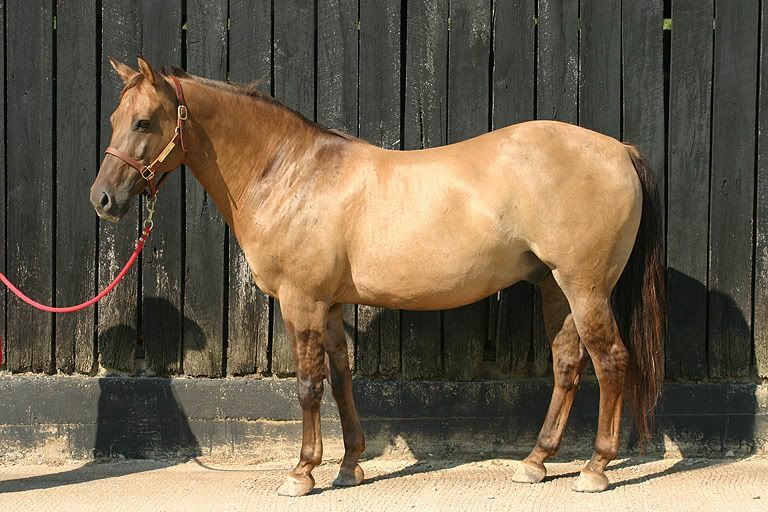 One copy of cream on a bay based horse gives us buckskin who are usually also some shade of gold with a black mane, tail and legs. 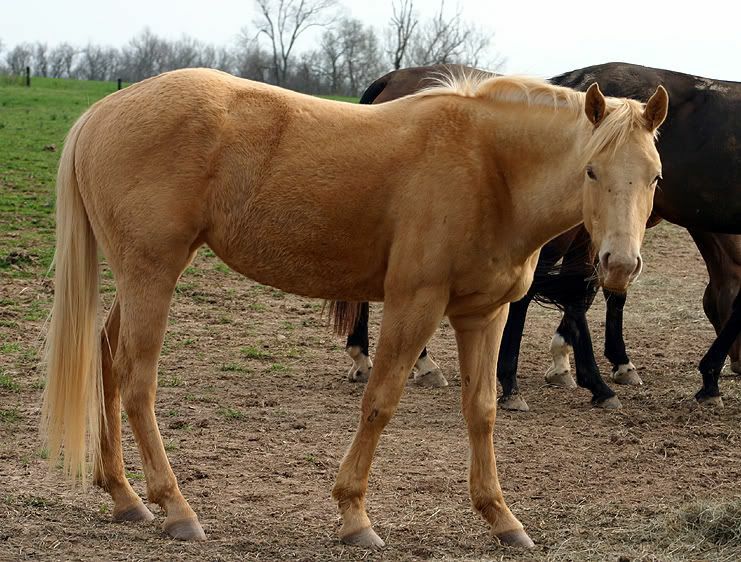 The reason the points remain undiluted on a buckskin is due to cream's lack of effect on black pigment. The body and head of a buckskin is diluted because the agouti gene has already made those areas red. One copy of cream on a black based horse is called a smokey black and nearly always looks like a "normal black". Most of the time a smokey black can only be identified by a genetic test for the cream gene. Two copies of cream (and thus homozygous) on a red based horse is a cremello and generally look very close to white. Two copies of cream on a bay based horse is a perlino and it's body and head look nearly white while it's mane, tail and legs tend to have slightly more color and may appear to be a super light orange color. Cream in it's homozygous state does dilute black pigment to a significant extent thus the bay and black based homozygotes will usually show this light orange color where there black would have been. Two copies of cream on a black base is referred to as a smokey cream. Smokey creams have an overall body color very similar to the legs of the perlino, a very light orange, sometimes bordering on whitish. Dun 'D' and 'd' (simple dominant): Dun is one of the most intriguing dilutions in my opinion and is my personal favorite. 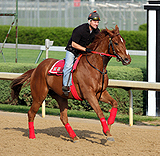 It creates a look on red and bay based horses very similar to cream and adds characteristics called "dun factor". 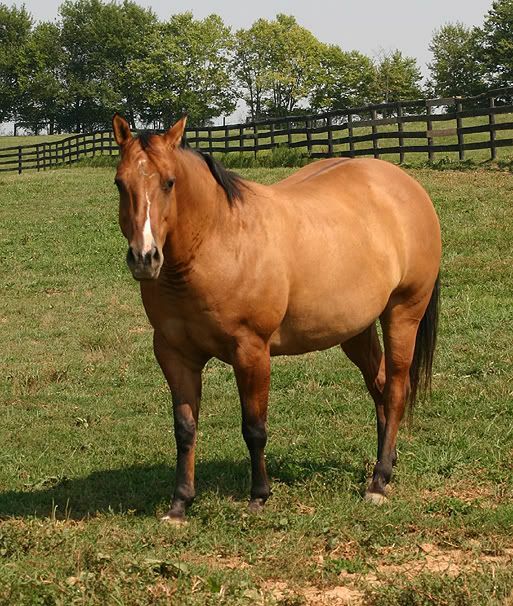 Dun's *must* have a clear, defined dorsal stripe in order to be considered dun and having any of the others characteristics is sometimes considered required and always desirable: leg barring, wither shading, face masking, face cob webbing, ear tips, mane and tail guard hairs, leg marbling, neck shadows and dorsal barbs. These markings are the color the body of the horse would have been had it not been diluted by the dun gene's effects. Red based horses displaying the dun gene range from a light pinkish tone to a deep coppery red with darker legs, mane and tail and are called red dun. Dun diluted horses with a bay base look VERY much like buckskins most of the time with a diluted body and head and black legs, mane and tail and are called bay dun. Black based horses with the dun gene vary from a dark color very close to black to a very light grayish/charcoal appearance and normally show at least a dorsal stripe and leg bars and normally always have a darker head. They are called grulla or grullo (Spanish female and male pronouns describing a blue crane) but a more accurate name would be black dun.